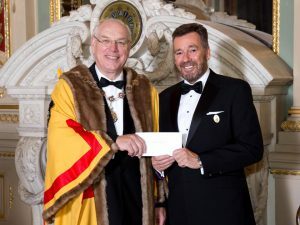 On 7th December 2017, at Drapers Hall in the City of London, NTDA Chief Executive and Wheelwrights Liveryman Stefan Hay presented a cheque to the newly installed Master, Bert Wiegman, for £4,260 in support of the 2020 appeal which, in association with WheelPower the British Wheelchair Sport Charity, is supporting athletes with disabilities in England, Wales, Scotland and Northern Ireland. The money was raised at the charity raffle held at the NTDA’s annual dinner in October 2017 and the Association would like to thank Bridgestone, Continental, Cooper Tire, Davanti Tyres, Michelin, Pirelli, Rema Tip Top and Yokohama for the generous prize donations and, of course, all of the guests who purchased raffle tickets on the night. 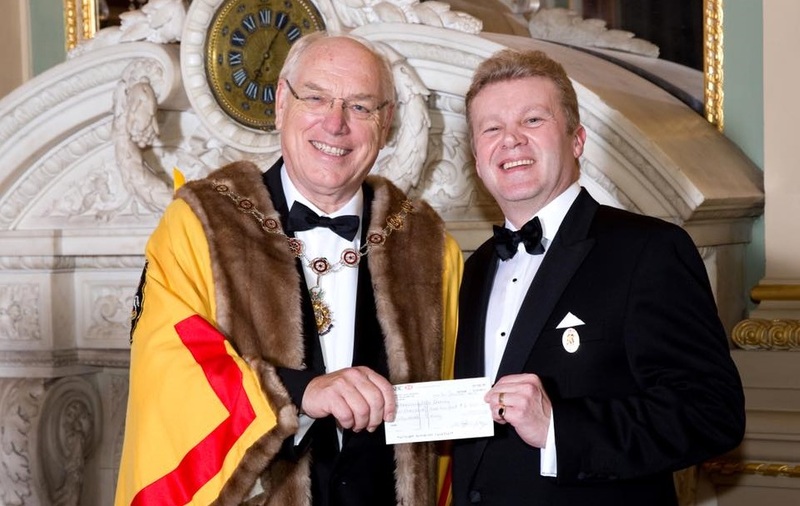 NTDA Immediate Past Chairman and Wheelwrights Liveryman Roger Griggs also presented a cheque for £5,000 to the Master on behalf of ETEL Ltd.